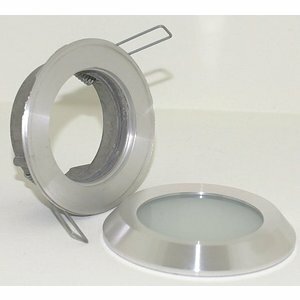 Fixed bathroom recessed spot made of matt-aluminum with twisted screw inner ring with silicone seal and opal pyrex glass. 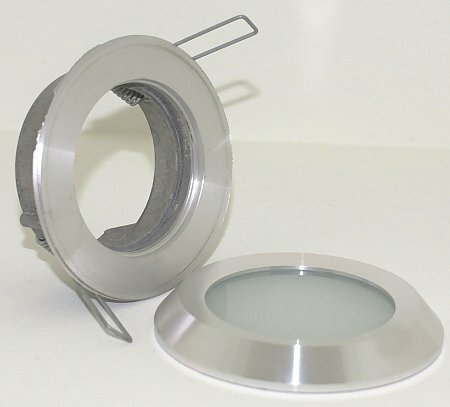 The seal class of the recessed spot is IP65 spray-waterproof and dust-proof. 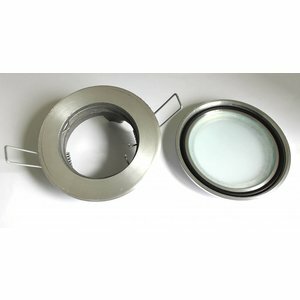 Recessed luminaire for use in the bathroom and outside. 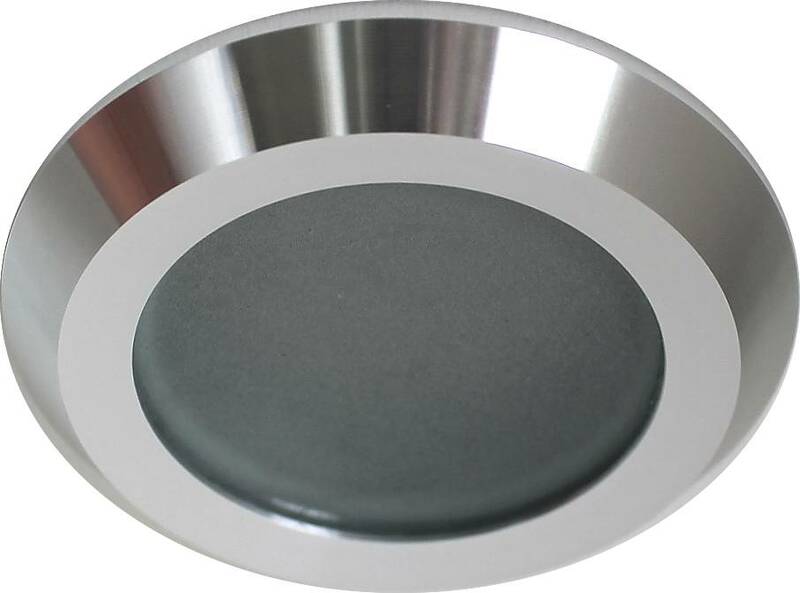 If you combine this bathroom with LED lamps, you will not only have a very nice spot, but also an economical one. 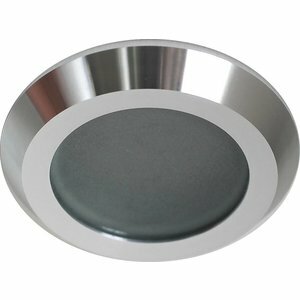 The twisted aluminum lid of the spot is nicely shaped and has a luxurious but quiet appearance. With two clamp springs, this IP44 / 65 bathroom recessed spot is mounted in a suspended ceiling. 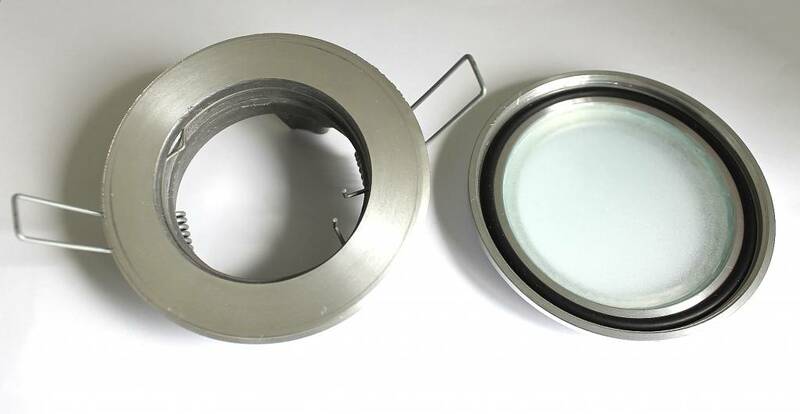 Sealing class is IP65 Water-proof and dust-proof. 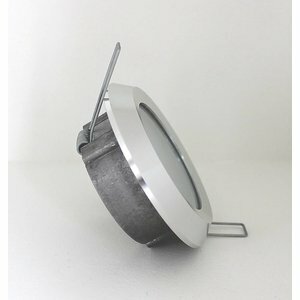 Suitable for type light sources MR16 12v GU5.3 and 230v GU10 halogen lamp or LED lamp.